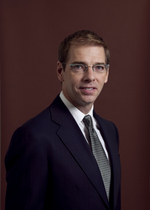 Please click here to read the report given by outgoing President Mark W. Gallop at our Annual General Meeting on June 14, 2011. Please click here to read the report given by then President Mark W. Gallop at our Annual General Meeting on May 18, 2010. 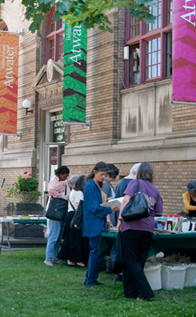 The Saturday, October 8, 2011 issue of The Gazette featured a major spread on the Atwater Library with ten drawings by Aislin, the award-winning political cartoonist and author, and text by award-winning reporter Marian Scott. Click to see Montreal Gazette A1 and Montreal Gazette B4, B5. Susan McGuire, historian of the Atwater Library of the Mechanics’ Insitute of Montreal has another interesting article about one of our early members, in The Gazette: Elocution, phrenology, homeopathy: Dr. Barber taught them all. Susan McGuire, historian of the Atwater Library of the Mechanics’ Insitute of Montreal has an interesting article about one of our early members, in the Montreal Gazette: Civic-minded Cleghorn ran one of city’s first commercial nurseries. 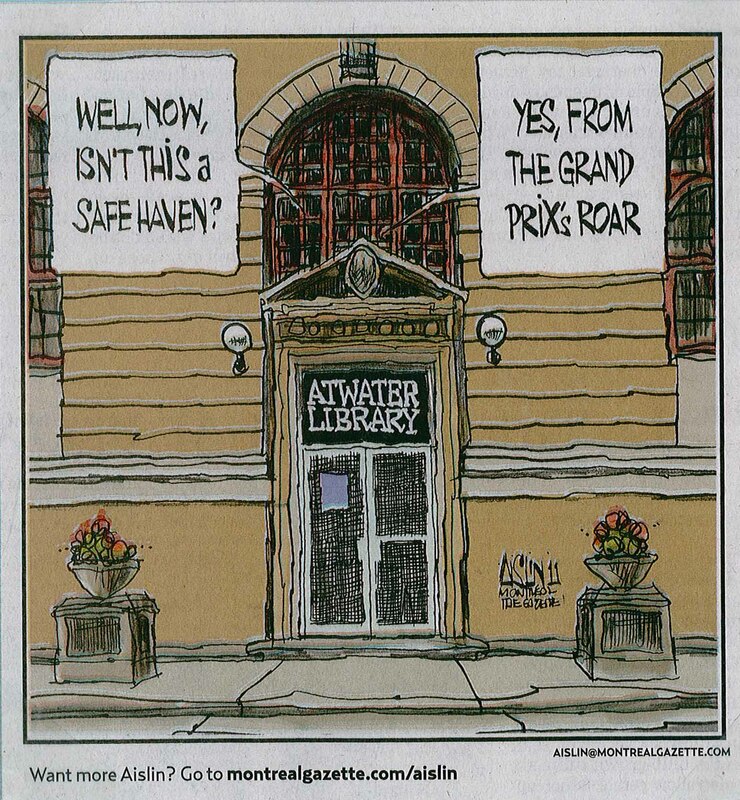 The Aislin cartoon in The Gazette on June 11, 2011 focused on the Atwater Library in counterpoint to the Grand Prix! Montreal Mirror article dated January 27, 2011 on the Imani Gospel Singers “making noise at the Atwater Library” during Black History Month.